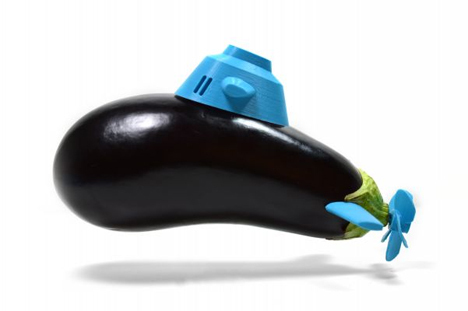 We could make a lot of jokes about playing with your food and how you should absolutely do it at every opportunity. 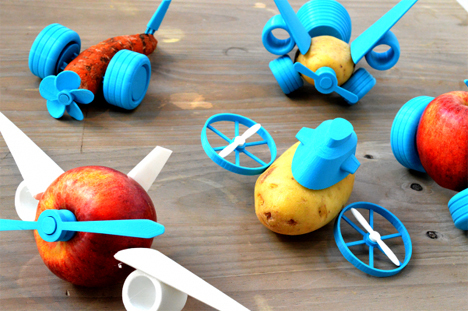 But it would probably be more fun to just print out a set of Open Toys so you can start turning your veggies into flying, rolling, and diving machines. The idea struck designer Samuel Bernier while he was at the annual Summer Workshop at the Domaine de Boisbuchet in southwestern France. His initial concept was to upcycle cork and wood pieces found in nature into simple toys using a 3D printer he had with him. The workshop happened to coincide with harvest time at the estate, however, which led to instant inspiration: veggies were so much more fun (and easier to play with) than wood or cork. 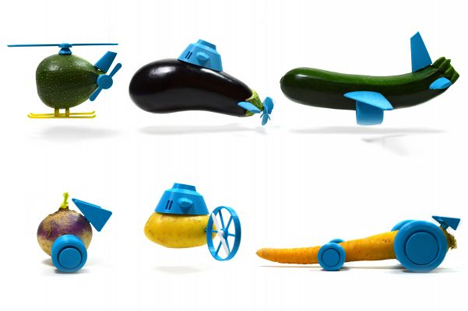 Bernier and his team invented toy pieces that let kids easily turn their vegetables into cars, flying machines, submarines, and wacky combinations of them all. 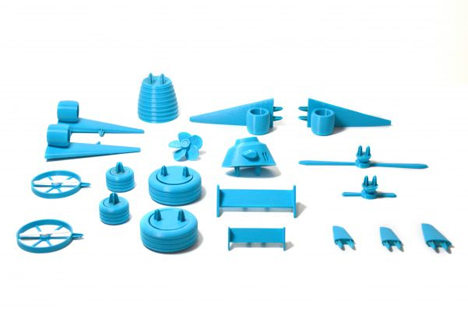 Le FabShop has published the 3D printing plans for all of the pieces, and they plan to continue designing new pieces. 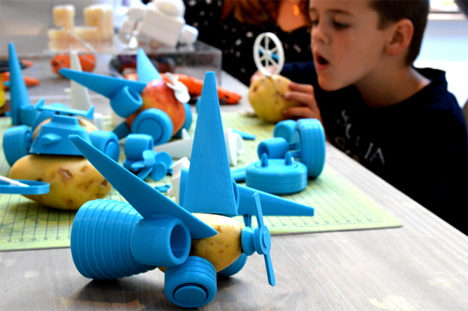 They also encourage other designers to try their hands at adding to the collection – because honestly, you can never have too many options when it comes to making apple airplanes and radish racecars.